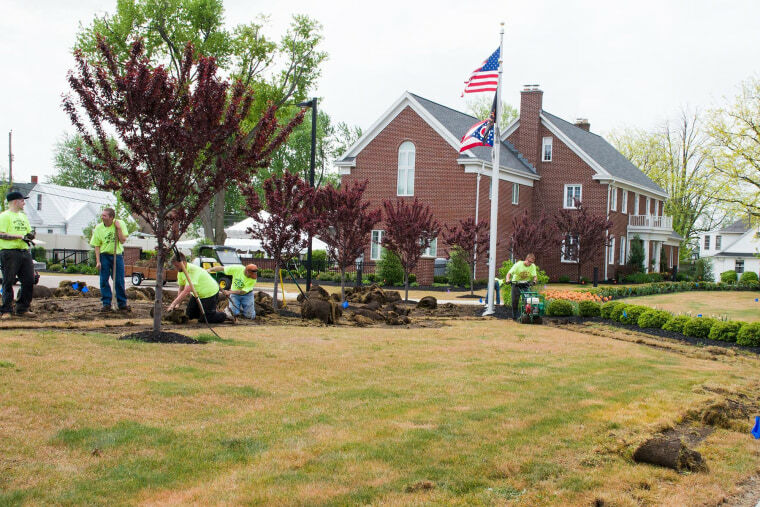 The University of Findlay in Ohio took a lot of pride in its award-winning campus landscape — until last week. The school's lawn-care company accidentally applied weed-killer instead of fertilizer and wiped out nearly all of the lawns, a university spokeswoman said. The mixup happened April 29 but the damage didn't become apparent for about a week, when expanses of green turned to brown dirt fields. Now the school has to re-sod or re-seed more than 50 acres, which could cost hundreds of thousands of dollars. University spokeswoman Brianna Patterson said the contractor's insurance company would probably pick up the tab for the work. She declined to identify the company. "People make mistakes and we don’t want to do anything that would harm their other business," she said. She noted that the school won an "America in Bloom" award last year for its beautiful campus. "It’s very unfortunate this happened," she said. "We will work to fix it, and the grounds will be restored to their former glory."